Posted 15.09.2016 at 01:09 in blog by admin / Comments Off on What options do I have for restoring or replacing a broken tooth? Your teeth may get fractured, broken or chipped off following episodes of injury, trauma or accidents. Damaged teeth can affect your beautiful smiles and normal speech as well as daily functions of chewing, eating and drinking. You will feel handicapped and socially embarrassed owing to the half tooth display during talking with your clients or during presentation in your office or in the classroom if you are a university student.Call for Albuquerque New Mexico Dentist For Restoring Replacing Broken Tooth. Broken teeth can seriously affect your confidence and self-esteem in social meetings and wedding functions. If your teeth are slightly chipped off, fractured or broken, these can be easily repaired with the latest dental bonding materials available these days. If the damage is extensive and beyond repair, you will be provided with the latest tooth replacements for restoring and repairing your smiles and everyday functions. Your own 24 hours emergency skilled cosmetic & restorative dentist Dr William C Gardner at NM Family and Cosmetic Dentistry PC has specialist training and well-equipped dental office with the required armamentarium and innovative dental materials which can repair or replace your affected teeth. Call for Albuquerque New Mexico Dentist For Restoring Replacing Broken Tooth. Q. HOW CAN I SUFFER FROM BROKEN OR FRACTURED TEETH? Q. 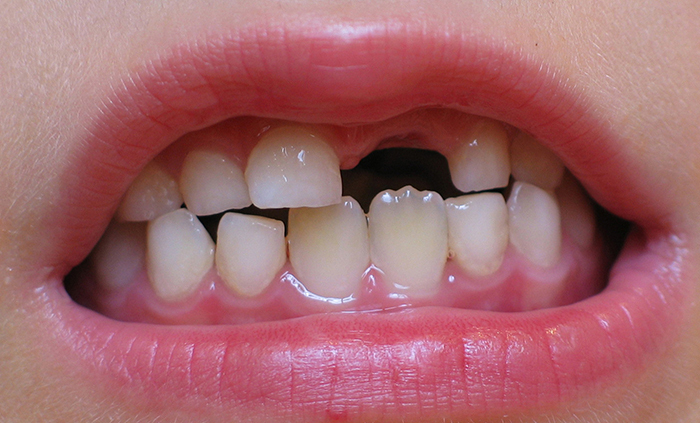 HOW BROKEN OR FRACTURED TEETH CAN PRESENT? • Fractured roots of teeth. Call for Call for Albuquerque New Mexico Dentist For Restoring Replacing Broken Tooth. Q. WHAT SHOULD I DO IMMEDIATELY IF I SUSPECT TOOTH FRACTURE? Call for Albuquerque New Mexico Dentist For Restoring Replacing Broken Tooth..
Q. WHAT WILL BE DONE AT THE DENTAL OFFICE? A. Dr William C Gardener will completely evaluate the extent and severity of fractured and broken teeth with visual examination. Thus, there are special tests before taking informed consent from you regarding the best treatment procedure. • Your dentist will take care of the cracks on the basis of severity of symptoms as well as on the position of tooth’s nerves. Tooth fillings work well for general cracks. If a fragmennt breaks and is available, bonding resin cements can work well to glue it back on the tooth. Full coverage crowns are sometimes necessary and good. If there is damage to the tooth nerves it works well. • Dental veneering helps in cases of complete front surface breakdown of your teeth. Q. WHAT ARE THE VARIOUS TOOTH REPLACING OPTIONS?